The Portland man accused of killing two men after they stood up to him as he shouted anti-Muslim hate speech was arraigned Tuesday. Jeremy Christian stabbed the men as they defended two young women. Former Panamanian dictator Manuel Noriega is being remembered as a shrewd CIA operative and a ruthless drug trafficker. He died Monday night in Panama at the age of 83. 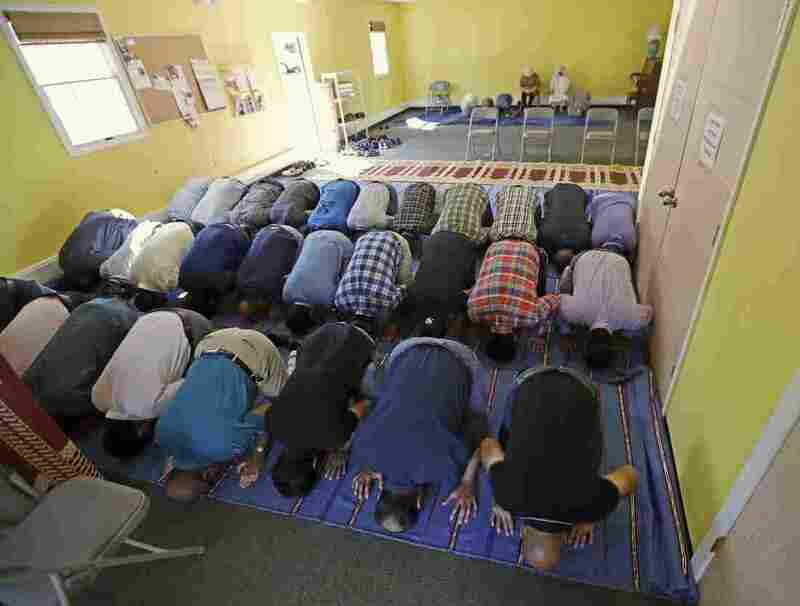 Muslim worshippers pray during a 2016 service at the Bernards Township Community Center in Basking Ridge, N.J.
A New Jersey town must pay $3.25 million to a local Islamic society and allow it to build a mosque, ending a years-long dispute. This is the result of settlements finalized on Tuesday stemming from two separate federal lawsuits against Bernards Township, in central New Jersey. The $3.25 million settles the lawsuit filed by the Islamic Society of Basking Ridge. And the ISBR will be allowed to move forward with its plans to build a mosque as a result of a lawsuit filed Justice Department. This dispute started in 2011, when the ISBR purchased a home with the intention of building a mosque in a residential zoning district where it was, at that time, acceptable to establish places of worship. But the plan was met with public opposition. The ISBR filed for site approval in 2012, which initiated 39 public hearings that spanned more than three years. “The Planning Board has never held such a large number of hearings for any previous site plan application,” according to the Justice Department’s complaint. In Oct. 2013, the township enacted a new ordinance that “amended the classification of a house of worship from a permitted use in residential zoning districts to a conditional use,” the complaint added. The new ordinance also required places of worship to be on a lot of at least 6 acres, larger than the 4-acre property where the ISBR wanted to build a mosque. Eight of the 11 houses of worship built and approved by the Planning Board before the rule was enacted were on lots smaller than 6 acres, the complaint says. The Planning Board ultimately rejected the application in 2015, saying it was particularly concerned about its number of parking spaces. The plans had 50 spaces allotted, at a ratio of one for every three worshippers, which is the usual standard applied to other places of worship. But the Planning Board said the mosque needed 107 spaces. The Justice Department said that higher number came from a “traffic engineer hired by a group of mosque opponents,” while the town said it came from a report introduced by an expert hired by the plaintiffs. The planning board also said the mosque must follow more stringent storm-water management and fire lane procedures than those required of other institutions, according to the complaint. Michael Turner, a spokesman for Bernards Township, denies the claims of discrimination. “The Planning Board denial was based on legitimate land use and safety concerns which Plaintiffs refused to address,” Turner added. 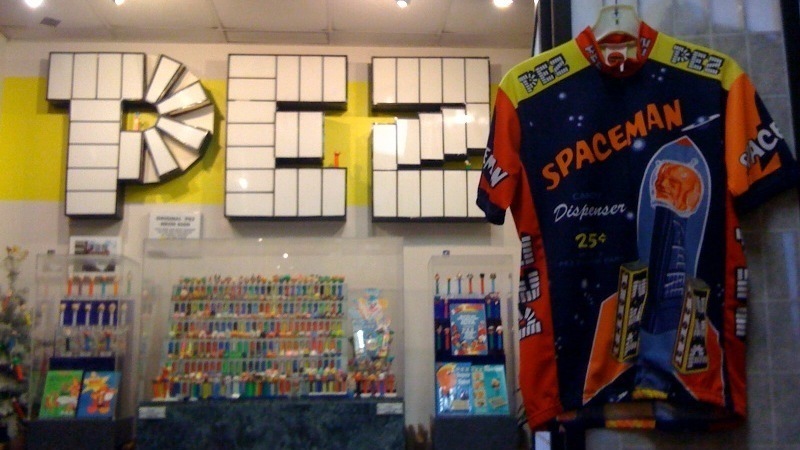 The Burlingame Museum of Pez Memorabilia in California includes a comprehensive collection of Pez dispensers. Atlas Obscura writer Molly McBride Jacobson compiled a list of such unique institutions as the American Toby Jug Museum, the German Watering Can Museum and the U.S. National Tick Collection. Her list includes 86 places around the world. Jacobson tells NPR’s Robert Siegel most of these collections are born out of one person’s obsession, like the Burlingame Museum of Pez Memorabilia. Some of the places on Jacobson’s list are more scientific than silly, depending on how you look at it. The Museum of Snoring in Germany explores humans’ longstanding, concerted efforts to stop snoring. While most of these places begin as a person’s passion, Jacobson says the key to making a collection interesting depends on the variety of the items. Jury selection begins Tuesday in the trial of the Minnesota police officer charged with fatally shooting motorist Philando Castile. The aftermath of the shooting was streamed on Facebook Live. The popular Netflix show 13 Reasons Why is about a teen who commits suicide. Youth Radio brings us the story of one Michigan high school’s project called 13 Reasons Why Not. It features 13 stories of students overcoming their struggles. A woman is vaccinated at a health center in Conakry, Guinea, during the clinical trials of a vaccine against the Ebola virus. When Ebola erupted in West Africa a few years ago, it was catastrophic. But one good thing emerged from the outbreak: The development of an Ebola vaccine — a powerful vaccine. As we reported back in December, the vaccine provided 100 percent protection against Ebola when given quickly after exposure. “It’s very unusual to have a vaccine that protects people perfectly,” said Ira Longini, a biostatistician at the University of Florida, who helped test the vaccine. Now that vaccine is headed to the Democratic Republic of Congo to help fight a small outbreak there. Since late April, Congo has reported about 19 cases, the World Health Organization said. On Monday, the Congo government agreed to use the vaccine. “Now there’s a Medecins Sans Frontiers team that is arriving [in Congo] today to validate the protocol with the technical teams,” Jonathan Simba, a health ministry spokesman, toldReuters. The outbreak already shows signs of slowing down. There hasn’t been a new confirmed case since May 11. And several suspected cases were ruled out last week. 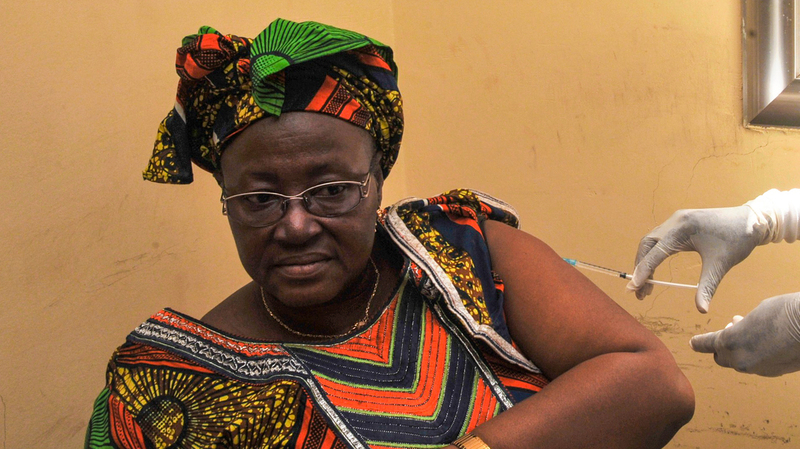 Congo has a long history fighting Ebola. Since the virus was first detected there in 1976, the country has reported seven other outbreaks. In all instances, health workers have stopped the disease by isolating infected people. This is the first outbreak since the vaccine became available. The vaccine — called rVSV-ZEBOV — took about two decades to develop. Scientists in the U.S. and Canada started working on it back in the 1990s and early 2000s. Then it sat on the shelf for years because of lack of funding. Toward the end of the outbreak in West Africa, scientists began testing the vaccine in a large trial with more than 4,000 people. The shot worked extremely well and had mild side effects, such as headache and muscle pain. The vaccine hasn’t been approved yet by either the World Health Organization or the U.S. Food and Drug Administration. That’s predicted to happen sometime in 2018. But GAVI — the Global Alliance for Vaccines and Immunization — has already spent $5 million to help finish the development and manufacturing of the vaccine, in partnership with the pharmaceutical company Merck. Together, they have stockpiled 300,000 doses of the vaccine. Now the challenge is getting the shot to a remote corner of Congo. 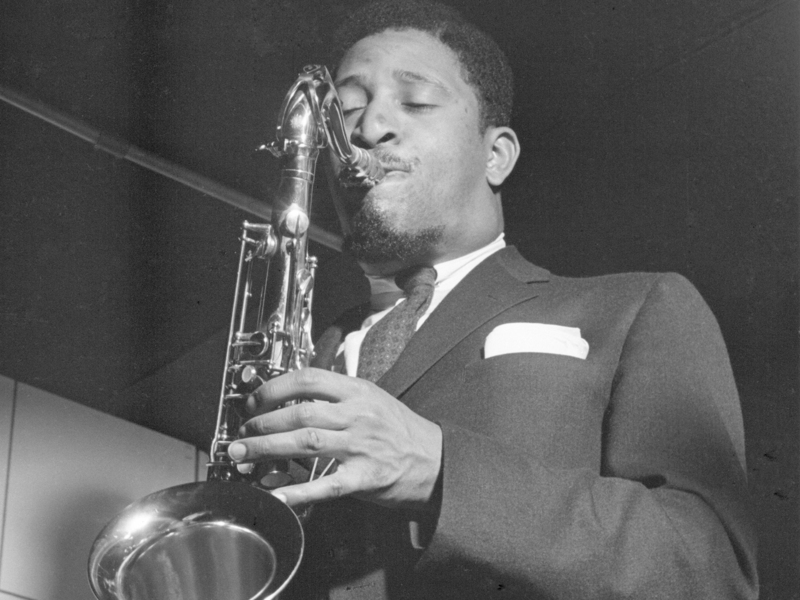 Sonny Rollins wasn’t really thinking about the formation of an archive as he went about his life and career over the last 60 years — as a tenor saxophonist of unsurpassed stature, an artist of active spiritual and social engagement, and an embodiment of jazz’s improvisational ideal. But his accumulation of writings, recordings and other material does amount to a formidable collection, and it has now been acquired by The Schomburg Center for Research in Black Culture at the New York Public Library. The acquisition will bring Rollins’ archive to the Schomburg’s location: at Malcolm X Boulevard near 135th Street in Harlem, a couple of blocks from where he was born in 1930, and in the neighborhood where he spent his youth. 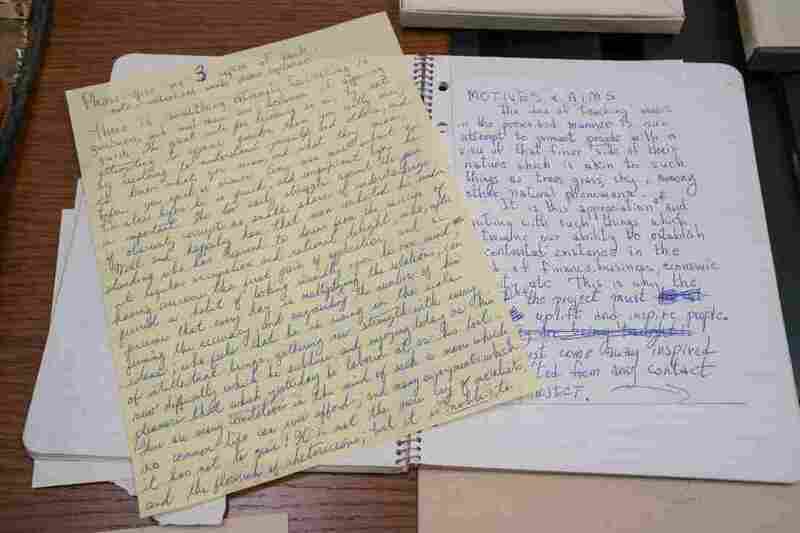 Pages from Rollins’ notebooks: “Motives + Arms” and a meditation on quickness. “In that sense, it’s like coming home again,” Rollins said last week, speaking by phone from Woodstock, New York, where he now resides. 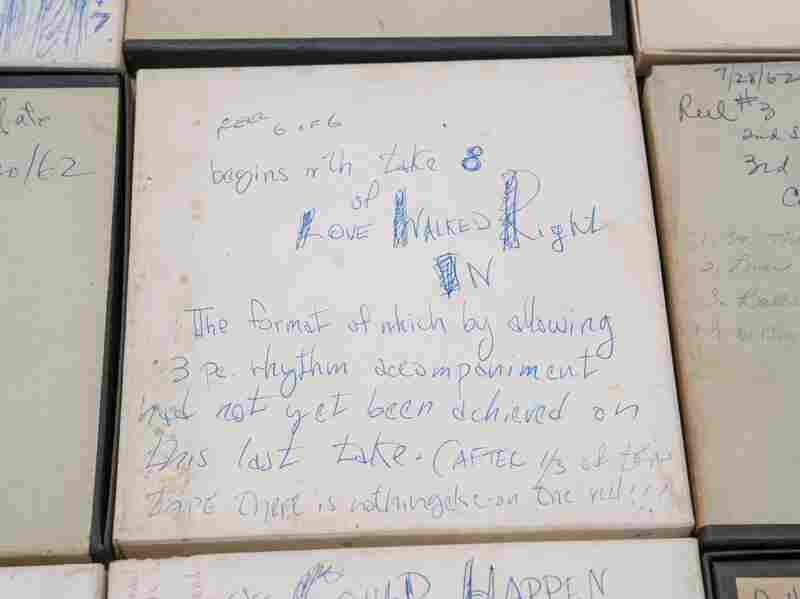 The collection, amounting to more than 150 linear feet of material, is comprised of all manner of written correspondence (notably to his late wife and manager, Lucille Pearson Rollins) as well as hand-lettered essays, notes and drawings; practice and rehearsal tapes, often with detailed annotations; and photographs of both the promotional and candid sort. 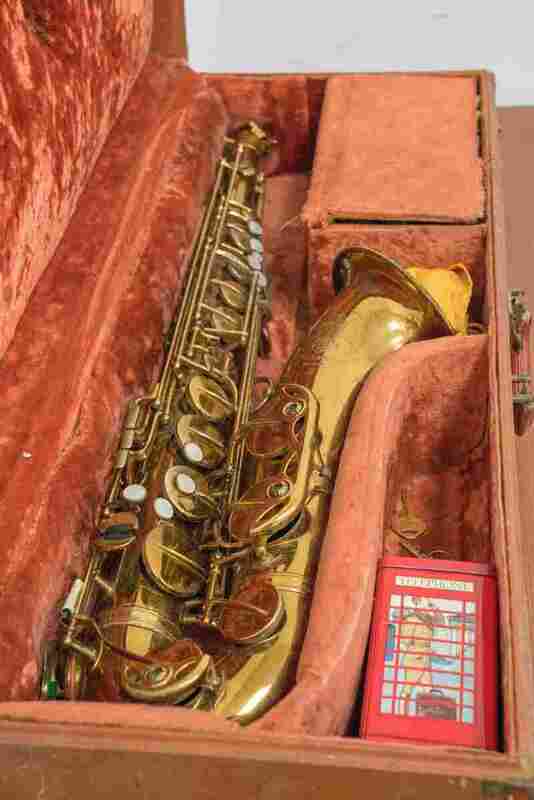 Among the other historically significant objects is a tenor saxophone that Rollins used early in his career. 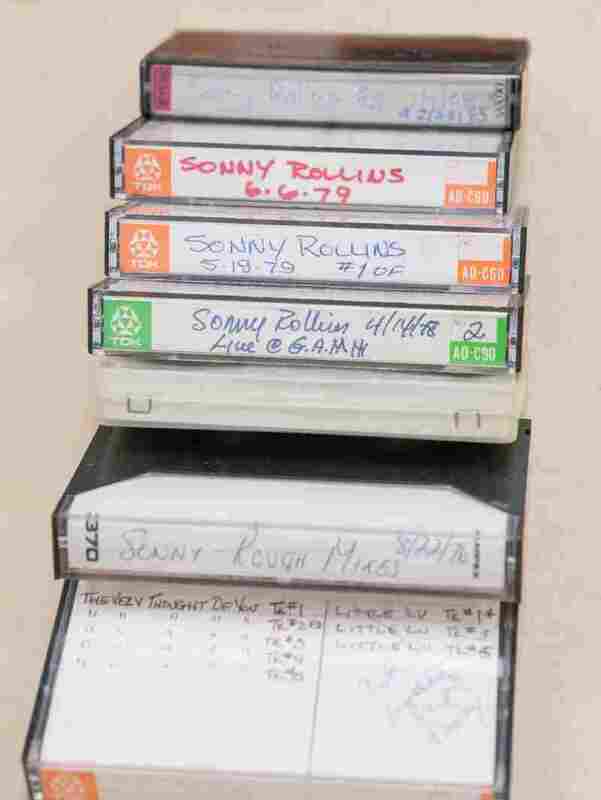 Cassettes from the Sonny Rollins archive. One of Sonny Rollins’ saxophones. Rollins ¬— who has received a National Medal of Arts and a Grammy Lifetime Achievement Award, along with recognition at the Kennedy Center Honors and as an NEA Jazz Master — is well known for his spartan work ethic, and the self-critical instinct that has often motivated it. From 1959 to 1962, during what seemed the height of his powers, he famously disappeared into a pattern of solitary practice on the Williamsburg Bridge. That sabbatical, which ended with the release of an album naturally titled The Bridge, has become as much a part of Rollins’ legend as his marathon solos, which could spin a small melodic motif into an epic narrative arc. Over the last four years, Rollins has been an emeritus eminence, no longer active as a player because of health concerns. It was during this time off the scene that he began to consider his archives, inspired by the example of his old friend and band mate, drummer Max Roach, whose collection was posthumously acquired by the Library of Congress in 2013. “The idea was in the air, that it’s time for a lot of current musicians to get their papers together,” Rollins said, also citing the Randy Weston Collection at Harvard, which was announced last year. The Schomburg Center, which is a research library as well as a physical archive, made recent news with another acquisition — of personal papers and writings by the essayist, playwright and social critic James Baldwin. In a sense, the Rollins archive joins that collection in dialogue, even though the two artists never met. 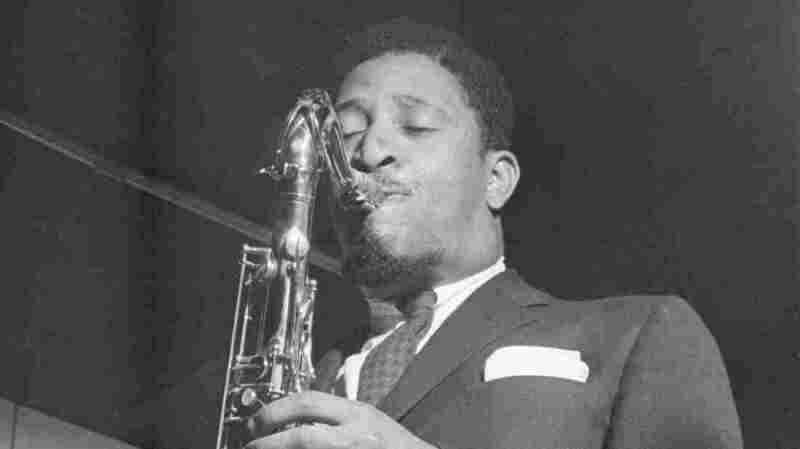 Selections from Sonny Rollins’ archive. At the same time, Rollins expressed satisfaction in the idea that he was, in some sense, returning home to Harlem. The archive will be catalogued and digitized, a process that will probably take more than a year, and then subsequently be made available both at the Schomburg Center and online through the New York Public Library database. 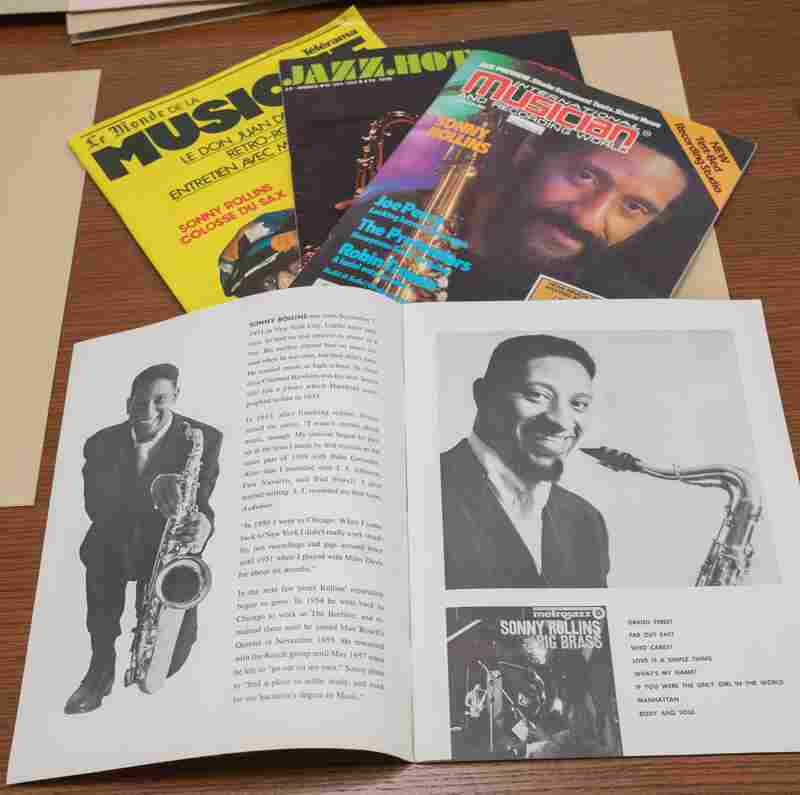 Artifacts from the Sonny Rollins’ archive. 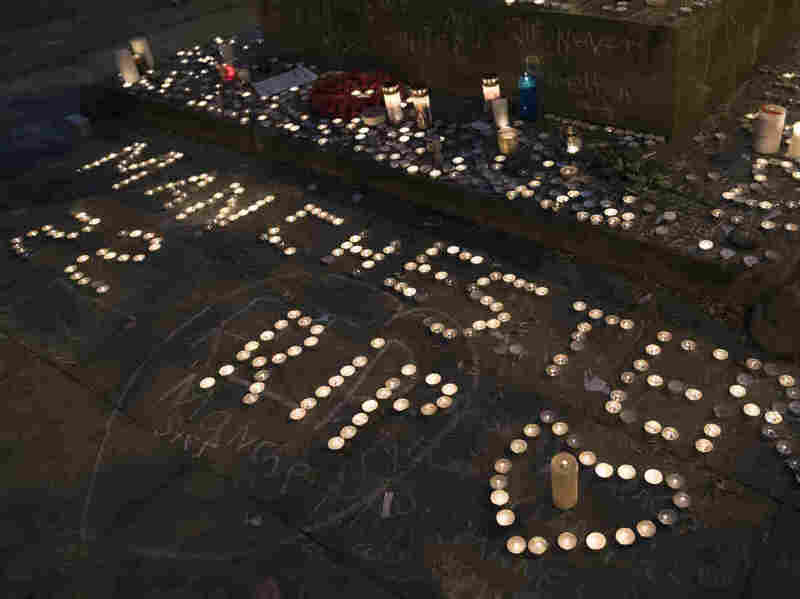 Memorial candles are seen during a vigil on St Ann’s Square in Manchester, England on May 29, 2017, one week after a bomb attack at Manchester Arena. Pop star Ariana Grande will return to Manchester this Sunday, June 4, as part of a concert, One Manchester, to be held at a famed cricket field southwest of the city. The concert is intended to honor and raise money for the victims and families of the May 22 bombing in the city. The attack, which occurred just outside of the Manchester Arena and was timed to coincide with the conclusion of a performance by Grande, killed 22 and injured dozens more. Grande will be joined by Katy Perry, Coldplay, Justin Bieber, Miley Cyrus, Pharrell Williams, Usher, Take That, former One Direction member Niall Horan and others yet to be announced at the Emirates Old Trafford Cricket Ground, which can support an audience of 50,000. Concerts in Manchester have had increased security since last week’s suicide attack, carried out by British-born Salman Abedi. A performance by The Courteneers that took place at Old Trafford this past weekend was subject to increased security, with all entering the venue searched and no bags being allowed on the grounds. The One Manchester benefit also mentions a similar no-bag policy and likely have concertgoers undergo equally stringent security measures. Fourteen people remained in custody in connection with an investigation into the bombing and 19 people, including six children, remained in critical condition as of Monday, The Guardian reported. Net proceeds from the June 4 concert will be directed to the We Love Manchester Emergency Fund, a joint project of the British Red Cross and the Manchester City Council, with help from the Manchester Evening News. A statement from the Manchester City Council encouraged those directly affected, “for example young people and parents who were at the Arena and may have had minor injuries or witnessed traumatic event,” to contact a support line set up for them. A testimonial soccer match (a “for-fun” match that does not count towards teams’ standings) scheduled to celebrate the career of Manchester United footballer Michael Carrick — also a charity event — was moved to accommodate the concert.